LEGO Harry Potter games are here to enchant all the Harry Potter fans once again. This time, they are making their entry into the Android world. This is definitely “not something worth missing”! Ever since the magical world of Harry Potter entered our lives, we haven’t been able to get enough of it! Be it the book series, movies, theatre or games- the Harry Potter franchise has enraptured its fans all over the world. The books might have ended; no new Potter movie installation might be in store; but its craze is likely to remain till eternity. Needless to say, this enchanting series has given a serious disease of “Potter-mania” to everyone, and there’s no cure for it! Well, there’s some amazing news for all “Potter-maniacs”. Here it goes! Harry Potter is ready to cast its spell on all Android users. 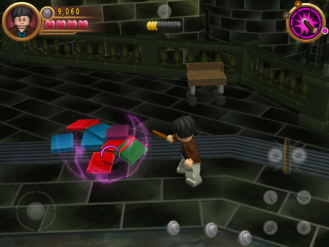 After almost six years, since its release in 2010, the LEGO Harry Potter games are finally available for Android devices. The first installation of the games was made for the Windows, various game consoles, iOS and Mac users. Now, Android users will also get to enjoy these wizard-themed games. These games are totally fun and engaging, just like other games in the LEGO series. They are available for Android, in two parts: LEGO Harry Potter Years 1-4 and LEGO Harry Potter Years 5-7. The games come with some incredible graphics and other features. They can be easily downloaded from the Play Store at an installation price of $4.99 (INR 331.61). Since the LEGO Harry Potter games are coming for Android users after six years, we can expect them to be a better version of the Windows and iOS installations, with much better graphics and features, and without any bugs. There is an assurance that they won’t disappoint their fans at all, just like the other franchises didn’t. So, all the “Potter-maniacs” out there! What are you waiting for? Get hold of your phones, go to the Play Store, and install the new LEGO Harry Potter games, right away. Have fun!